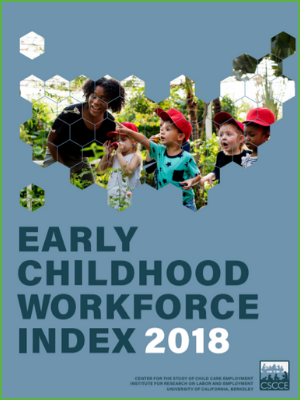 Early Childhood Workforce Index 2018 is the second edition of the biennial Early Childhood Workforce Index from the Center for the Study of Child Care Employment at UC Berkeley. This edition continues to track the status of the early childhood education workforce and related state policies in order to understand changes over time. Several new analyses, as well as updated policy indicators and recommendations, have been added. The chapters in this resource take a look at those working in the early childhood workforce, their economic security and the policies that impact them.